Put chicken, margarine, soup and dressing mix in slow cooker; mix together and cook on low for 5 to 6 hours. Add cream cheese and cook on high for another 1/2 hour or until heated through and warm. Wrap the pita breads in aluminum foil and heat at 400F for about 10 minutes. Lower the oven temperature and keep them warm. Heat the oil in a skillet over medium-high heat. Add the onion and chicken and sauté for 5-6 minutes until onion is browned and chicken is cooked through. Combine the cucumbers, yogurt and dill. Set aside. Remove the pitas from the oven. Arrange the onion and chicken mixture over each pita. Top with spinach tomatoes and feta cheese. Top with a couple of tablespoons of the yogurt sauce. Fold pitas to form a cone. Wrap the bottom of each cone with foil to serve. In a large pot with boiling salted water cook fettuccini until al dente. Drain. In a large skillet cook sausage until brown. Drain and set aside. To make the Alfredo sauce, melt butter in medium saucepan over low heat. Add heavy cream and Locatella cheese and cook, stirring frequently, until mixture comes to a soft boil. If desired, add parsley. Pour Alfredo sauce over fettuccini noodles and top with the cooked sausage. Serve immediately as sauce will separate upon cooling. Spray a large skillet with cooking spray and heat on medium-high. Saute onion and garlic for 3 minutes, or until onion is tender-crisp. Stir in broth and rosemary; bring to a boil. Stir in artichoke hearts and spinach; reduce heat, cover and simmer 5 minutes. Spread 1/4 of the artichoke mixture in the bottom of the prepared baking dish; top with rice. Sprinkle 1 cup mozzarella and cream cheese over rice. Repeat layers 2 more times, ending with artichoke mixture and mozzarella cheese. Sprinkle crumbled feta on top. Spread chicken in the bottom of a 9×13 inch baking dish. Top with broccoli. In a medium bowl, combine the mayonnaise, curry powder, cayenne pepper, garlic salt, salt and pepper and mix well. Add 1 cup of Cheddar cheese, cream of chicken soup and cream of mushroom soup and mix again, then pour mixture over chicken and broccoli. Sprinkle with remaining 1 1/2 cups of cheese. Rinse and drain lentils, but do not soak. In a slow cooker, stir together the lentils, tomatoes, water, carrot, sausage, and celery. Wrap the pita breads in aluminum foil and heat at 4000F for about 10 minutes. Lower the oven temperature and keep them warm. Place sliced potatoes in slow cooker. In a medium bowl, mix together shredded cheese, onion and ham. Mix with potatoes in slow cooker. Using the same bowl, mix together condensed soup and water. Season to taste with garlic powder, salt and pepper. Pour evenly over the potato mixture. Cover, and cook on High for 4 hours. In a large pot with boiling salted water cook penne pasta until al dente. Drain. Meanwhile, in a large skillet over medium-high heat melt butter, add onion and garlic and cook for 2 minutes. Add chopped chicken and continue cooking, stirring occasionally until golden brown, about 5 to 6 minutes. Reduce heat to medium- low. Drain and chop artichoke hearts and add them, chopped tomato, feta cheese, fresh parsley, lemon juice, dried oregano, and drained penne pasta to the large skillet. Cook until heated through, about 2 to 3 minutes. Season with salt and ground black pepper. Serve warm. To make the Alfredo sauce, melt butter in medium saucepan over low heat. Add heavy cream and Parmesan cheese and cook, stirring frequently, until mixture comes to a soft boil. If desired, add parsley. Stir in water and bring to boil. Cover. Reduce heat and simmer until orzo is tender and liquid is absorbed, about 15 – 20 minutes. Mix in Parmesan cheese and basil. Season with salt and pepper. Transfer to shallow bowl. Garnish with basil sprigs. Place chicken and broccoli in a lightly greased 9×13 inch baking dish. In a medium saucepan combine cream of chicken soup, mayonnaise, curry powder and lemon juice. Bring all to a boil over low heat, stirring constantly. Pour soup mixture over chicken/broccoli mixture and top with shredded cheese. 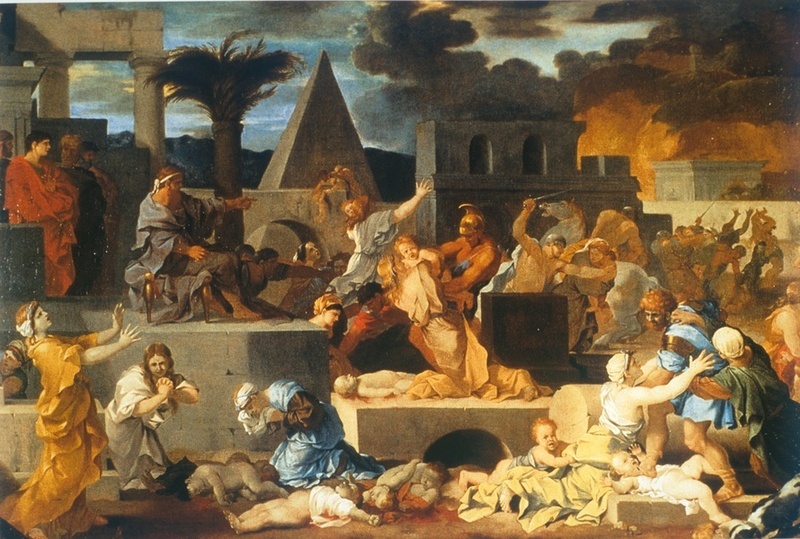 Today the Church celebrates the Feast of the Holy Innocents. There are many customs and prayers to celebrate this day. One custom is to have the blessing of children. 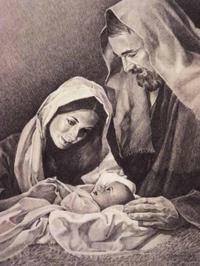 Today you can also begin a novena to the Magi in anticipation of the Epiphany. Laughed and said "All I can say is,"
"Best start putting first things first. Take every breathe God gives you for what it’s worth."